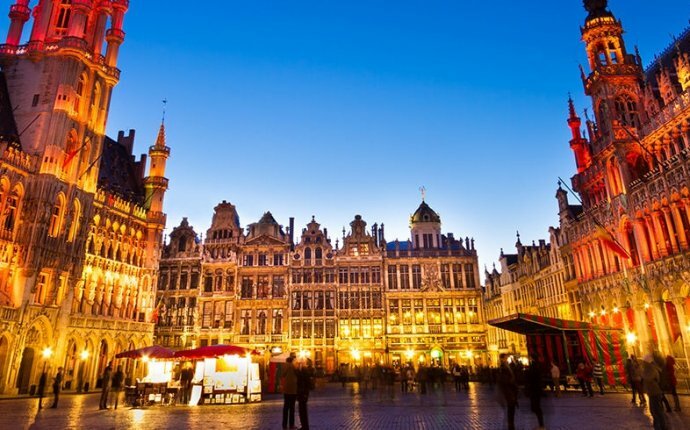 Belgium’s capital may be known for the imposing, picture-postcard Baroque architecture at its heart, and the sleek, glass and steel structures of the European Quarter, but you can stay in this stately city without paying over the odds. There are cheap hotels to be found in the sought-after Grand Place zone, putting you within ambling distance of the historic landmarks, while you can also stay in budget-friendly lodgings in the vibrant Saint-Josse-ten-Noode neighborhood. Just to the south of the city center, the Stalingrad area also has a good number of cheap hotels to choose from. If you want somewhere cheap to bed down which also happens to be close to the various buildings of the European Union, Aparthotel Adagio Access Brussels Europe is a good choice. As well as offering smart, comfortable rooms, it also has added cost-cutting perks like free WiFi and kitchen areas to cook your own food in. Then there’s Maxhotel, a no-nonsense pad with fully automated check-in and understated pads perfect for crashing in after a day’s sightseeing. Theater Hotel Brussels is similarly fuss-free, and its streamlined guestrooms also feature free WiFi. The Saint-Josse-Ten-Noode neighborhood is known for its multicultural population and wealth of cheap, casual eateries which reflect the cosmopolitan nature of the area. Whether you’re in the mood for hearty pasta dishes or meaty Lebanese wraps, you can fill up without splurging too much. Over in the Grand Place quarter, pick up a paper cone brimming with French fries, slathered in mayonnaise for that quintessential Belgian experience. Or try a mitraillette: a baguette stuffed with meat and fries which will keep you going till dinner. Simply taking in the sights is one of the main reasons to come to Brussels, which means much of your holiday won’t cost very much at all. Take a turn around the Grand Place, that celebrated plaza which is surrounded by the gabled guildhalls with their Baroque flourishes, all overlooked by the steeple of the Town Hall. This iconic landmark has its roots in the 15th century, and is worth exploring inside and out. Another staggering structure is the National Basilica of the Sacred Heart. Not only is it one of the largest churches in the world, but it’s also an Art Deco bastion with vast green domes and artfully jagged architecture, as well as a viewing platform for gazing over Brussels. Culture vultures should also seek out the Fin-de-Siècle Museum, which showcases paintings, photography, and literary works from the turn of the 20th century. One of the things that helps make Brussels such a good choice for a cheap holiday is that you won’t have to spend much on public transport while you’re there. Just take some good shoes and enjoy walking around the historic center, admiring landmarks like the cheeky Manneken Pis statue. And if you do need to get somewhere more quickly, you can always just hop on the subway trains, or make use of the trams and buses that work the streets.